Our Bad link removal services with disavow tool ensure no malicious and harmful links on the website. It helps to regain reputation with Google in tough times post-penguin update. Are Bad links killing your website's ranking and organic traffic? our bad link removal services with Diavow is at your rescue. 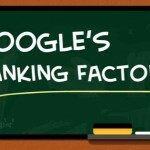 Google Penguin updates have made webmasters rethink their link building techniques they used to gain search rankings. 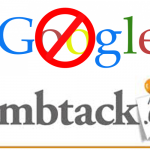 The update became the yardstick against link manipulation and dumped millions of websites by dropping their rankings. Penguin talks tough on unethical link building practices manipulated for ranking gains. If you have experienced sudden ranking drop due to penguin update, call us. We help you filter messy links link audit and removal services using Disavow tool. .
We are a responsible Internet Marketing Company and understand that your back link profile is very important to your website. At BrainPulse, we believe that Disavowing links are a very effective methodology that helps to end the menace of bad links. It is however very important to go through a comprehensive back link analysis before submitting the links to the tool. A disavow tool is the best option if you want to prevent a website against malicious and harmful links and escape the escape the threat of Google penalty. Our experts make sure that the links to be removed are really spammy in nature. We make it possible to remove as many links possible manually. To gather all the bad links available on your website, we thoroughly check and analyze all the links. Our webmasters separate bad links available from the Link Exchange, Low quality articles, Low quality submissions and Paid Links etc. At BrainPulse, we have a team of talented Bad Link Removal Services experts who work hard to get the best results using bad link removal with Disavow. We are committed to offer clients the best services they need in terms of ranking and visibility. Below listed are some advantages clients avail with our link removal services using Disavow. Still have queries? Call us now on 0120-6790400 to get in touch with our SEO services professionals. They will tell you about our exclusive SEO Plans made specially for the businesses like you.